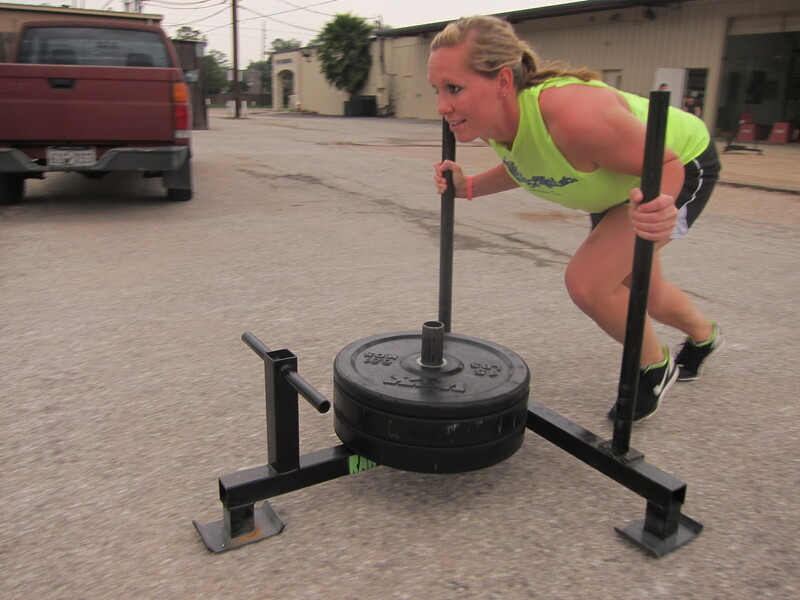 Audra leans hard into the sled. 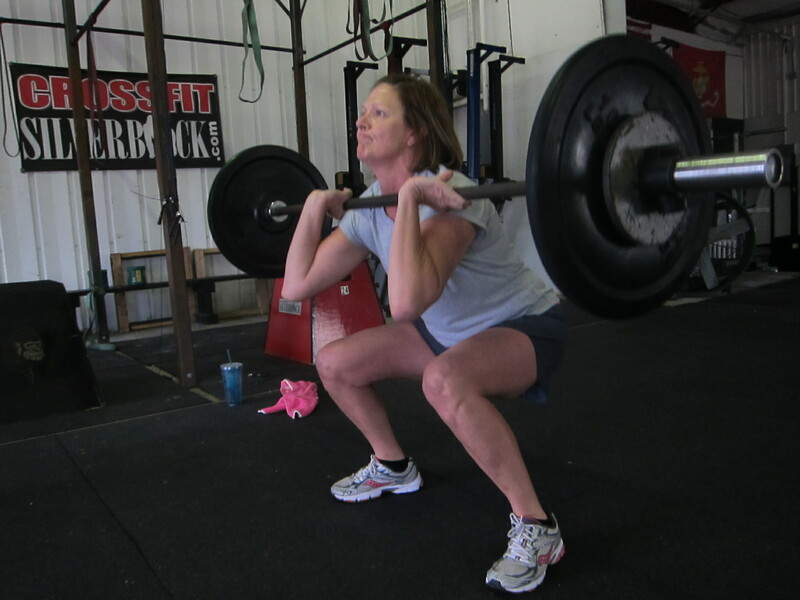 Donna attempted 12.5 today, equal to her all time heaviest thruster, AND CRUSHED IT! Oh man!, he hit my wheel house and Achille’s heel in one shot. This should get interesting. Hopefully I can get off work in time. Oh goodness 16:29. Legs so sore from Tues that I couldn’t do a jerk, COULDN’T JERK, So push press at Rx, with a stiff legged 200m x 7. 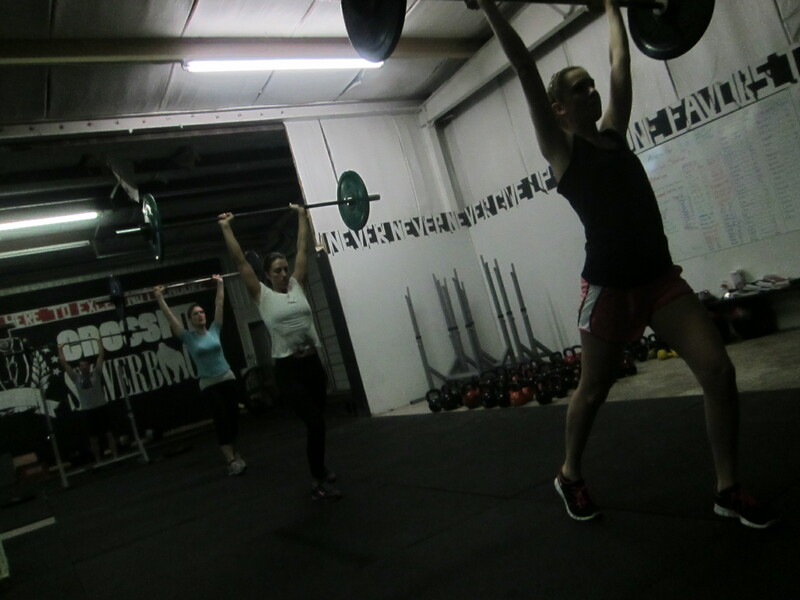 Great job today from all the Silverbacks I cajoled, coached, harassed and tricked into going heavier. Turns out in every case I WAS RIGHT! Thats OK I never get tired of hearing that.